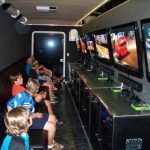 Play 1st Mobile Gaming Metro Detroit MI offers video game trucks for the ultimate video game parties! 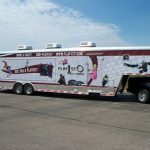 The Play 1st Mobile rig is loaded and ready to bring the fun to your next party in Oakland County and Metro Detroit MI. 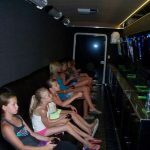 Play 1st Mobile Gaming is a birthday party option for kids, teens, and adults alike. 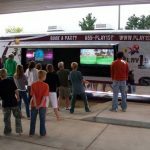 The Play 1st Mobile Gaming rig gives families an opportunity to throw a video game birthday party at their home, without having to do any of the work. 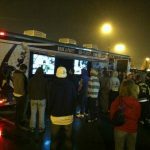 Play 1st Mobile Gaming brings the mobile video game party to you! 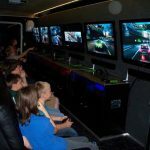 Video game themed birthday parties are a perfect party idea for teens and pre-teens and Play 1st Mobile Gaming offers a decked out mobile gaming rig that is filled with Xbox 360 games which can entertain any type of party at the location of your choice. They have six 42” high definition screens inside and two 65” high definition screens on the outside. This provides dedicated screens for up to 8 players and can be configured for up to 32 simultaneous players. The outside screens are great for controller free gaming, giving you the space needed for the full experience. 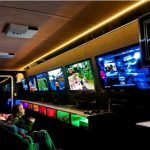 Our gaming consoles are connected to a network which allows for head to head or co-op gaming. The gaming rig is equipped with climate control for gaming in any weather. Rain or shine, hot or cold, they will be there to make sure you have a party to remember. Play 1st Mobile Gaming has created the ultimate video game experience with a large selection of games. If you like Xbox 360 ONE and the Xbox Kinect systems, you won’t be disappointed. There is an Available Games List on the Play 1st Mobile Gaming website to see the games that they offer. If there’s something you don’t see, you can send Play 1st a game request. With enough demand for a game, they’ll add it to the inventory. They also allow you to use your own games, too. 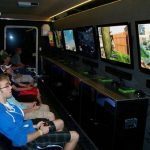 Play 1st Mobile Gaming hosts your event, which means a member of their staff will be present during your event to make sure everything runs smooth. All you need to do is book the party. 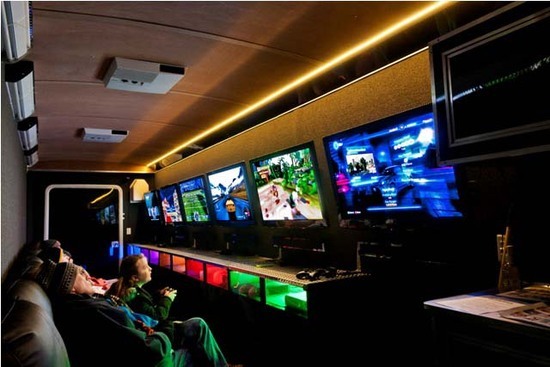 Play 1st uses Xbox One, Xbox 360, and Wii U systems in their awesome video game rig! 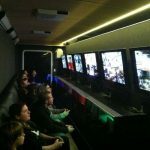 Play 1st Mobile Gaming Metro Detroit is available to bring their video game birthday party rig to your Oakland County and Metro Detroit area party. 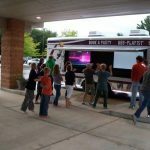 Visit the Oakland County Moms Birthday Party Directory to find more info on Oakland County and Metro Detroit, Michigan Birthday party packages and venues. Contact us or call us at 248-534-3934 to be listed in our Birthday Party Directory.